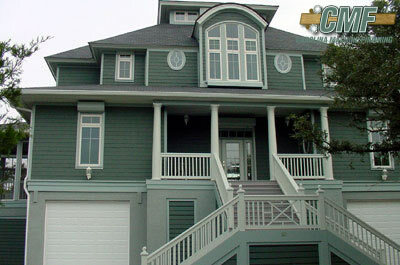 Pre-finished siding from Carolina Machine Finishing increases the exterior quality of a home without increasing cost. Premature paint failure on siding is caused by the South's hot and humid environment. Carolina Machine Finishing encapsulates all six sides of the siding, under factory-controlled conditions enabling the homeowner to receive a paint warranty. 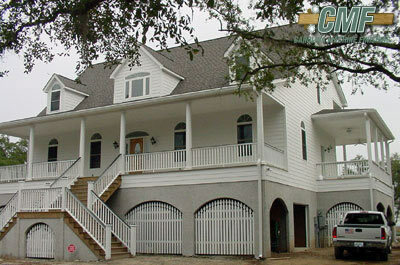 Carolina Machine Finishing provides a way to increase the exterior quality of a home without increasing the cost. Architects nation wide realize the significant value of back-priming/encapsulating as much of the exterior building materials as possible. 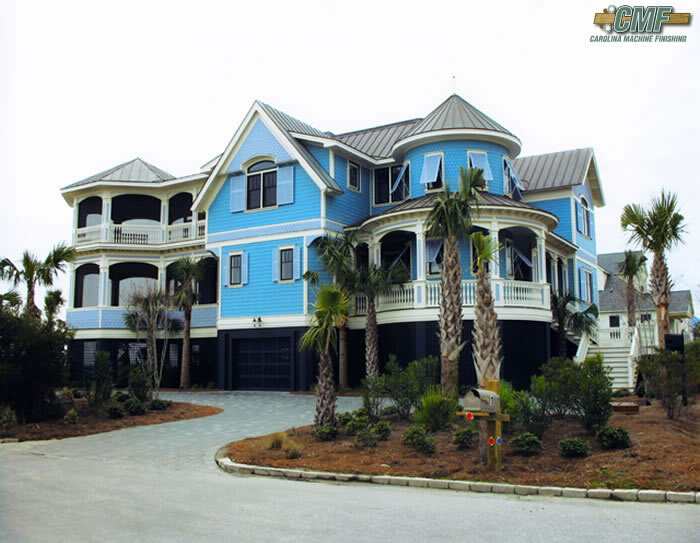 Increasing the beauty of a home's exterior is easy with Carolina Machine Finishing. The unique CMF encapsulation process is available on many materials. Once materials are Carolina Machine Finished there is no comparable product that delivers a higher manufacturers warranty on the substrate and coating while increasing the marketability of the home. Because of high humidity and other extreme climatic conditions affecting exterior siding and trim in the South, educated builders realize and utilize the long term benefits of machine-finished products. The reliability of Carolina Machine Finishing enables the homeowner to receive a paint manufacturer's warranty ranging from five years on primed products to 25 years and beyond on some finished products. The field application of a prime coat to all sides and ends of a piece of siding material is labor intensive, workspace limited, costly, and can not guarantee absolute uniformity in coating thickness. Therefore, Carolina Machine Finishing can not be substituted with any other process and achieve a comparably valued product. Remember to specify Carolina Machine Finishing on your next building project. Our job at CMF is to protect lumber... to protect siding... to protect the investment people make in their homes and that is something we take great pride in!